Sarees an ethnic yet quintessential outfit in the Indian woman’s wardrobe. In all its gorgeousness, saree is always in. Sarees, regardless of the season just blows your mind with its flavor of uniqueness and ethnicity if worn rightly. Nett Lehenga Sarees with diamond embellishments and easy to wear , Paithani, Banarsi, kanjivaram and Brocade sarees are some of the best collection among winter saree compilations. All these winters’ sarees can work best if it is embellished with awesome prints and embroideries. Printed sarees are best for wearing in the office. They are most preferred because they look bright and can be exploited in a variety of ways to be used in daily wear. Not only can they be worn to work, but also worn during office parties, get together, celebrations and even festivals. From teachers to doctors and housewives to teenage girls to executives, printed sarees are a favourite of all. 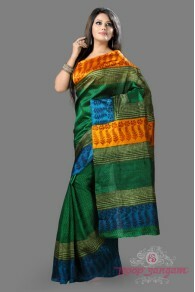 To get a sophisticated look it is best to select printed sarees with delicate work on them.